Some of the GCA DSW steppers had alignment cameras and targets so that a wafer could be carefully positioned before starting a job. 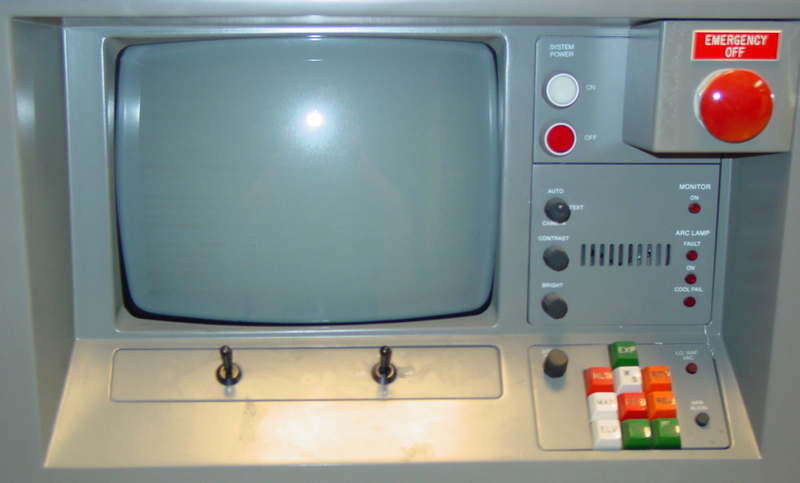 The original equipment's DEC VT100 terminal had an optional video input channel (NTSC) that allowed the alignment camera signal to be overlaid on the terminal screen with enough room at the bottom of the display to show a constantly updated X-Y stage position. With this image, the user could operate Theta (angular rotation) and X-Y joysticks to carefully align the wafer and move the stages. The custom VT100 monitor incorporated these joysticks as well a several buttons (a button box) to control the stepper operation. The special VT100 terminal was used with MOP versions 605.x through 7.2x. The version 7.3x software on later steppers (e.g the AutoSTEP) made use of a VT340 terminal and the keyboard to emulate the buttonbox and joysticks. The alignment camera signal was viewed on a separate video screen. 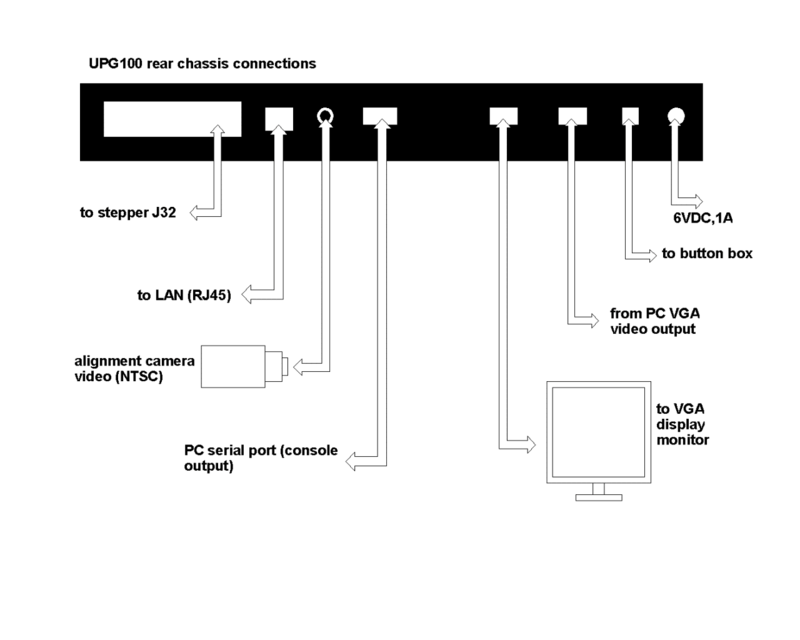 The UPG100 is a replacement for the VT100 terminal with its joysticks and buttons. The PC screen appears to operate in the same fashion as the original VT100. Alignment camera video appears on the PC screen when required. A separate button box provides joystick control and operation buttons. An added feature is a TCP/IP LAN connection which allows the button box controls to be operated remotely e.g. 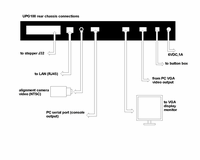 with the UPG100 and remote control LAN hardware (see the Library), the stepper can be operated from a remote location.